We have finished our Strategic Plan for 2016 – 2019. Our board has set us on a course with an updated Vision Statement and Mission Statement. The Vision Statement – Our vision is to see people in East Central Indiana free from hunger and self-sufficient. The Mission Statement –Our Mission is to provide help for today by feeding the hungry and hope for tomorrow by addressing the causes of food insecurity and empowering people toward self-sufficiency. This can be summarized as providing Help for Today and Hope for Tomorrow for our 8-county service area. 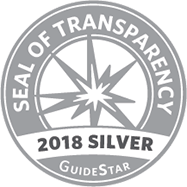 Help for Today means that we need to continue to evaluate and sharpen our existing programs, and look at the creation of new programs and collaborations where there are gaps in the delivery of service. The distribution system we operate with has some inherent challenges. 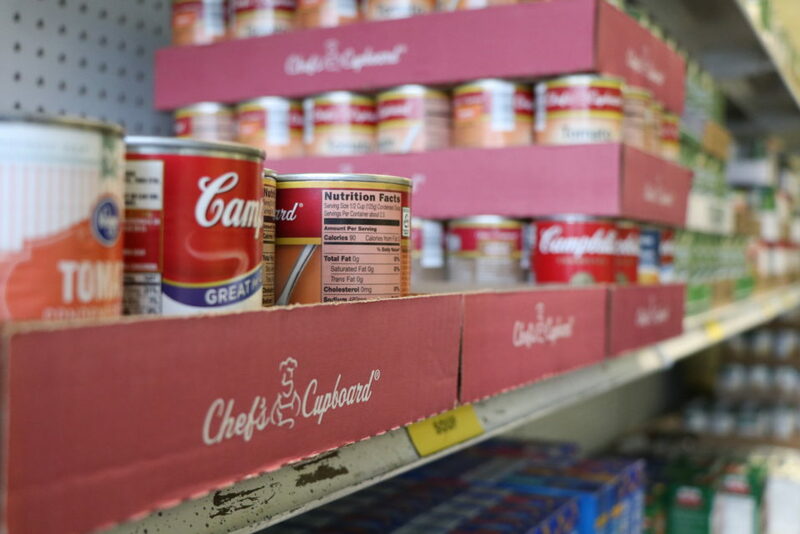 Dedicated groups of independent operators (food pantries) can bring much into this discussion as we examine national best practices across the Feeding America network. The idea of continuing to do things the same way and expecting different/better results as we consider what results we need will be interesting dialogue. The current model we use in food pantries and our Tailgate Distribution (mobile food pantry) is kind of a generalized approach. We provide food assistance through these programs to basically anyone who shows up at the distribution time. Both these approaches have been used for decades so we must ask ourselves, are we hitting the mark that we intend to hit? Can we use best practices to help us and our agency partners to come closer to a more impactful outcome? Hope for Tomorrow will lead us to look at the root causes of food insecurity. We will need to collaborate with an extensive group of partners to “shorten the line” of those in need. Advocacy, education and facilitation of discussions and activities will all play a role in moving forward, but this is not enough. If we engage in empowering people toward self-sufficiency, we will need to line up some programmatic opportunities for struggling people to find their way out of the struggle. This doesn’t necessarily mean that we need to develop new programming, but look at opportunities to engage with others who are tackling this topic so together we can leverage assets and energy to be more impactful. Can we align so that 1+1 = 2 ½? If we can make progress to “shorten the line” of need, won’t that relieve some pressure on challenges in help for today? We have to aim at the bulls-eye, not the general vicinity of the target. Using a generalized approach of how we disperse all our resources will not move the needle. Fighting a battle on all fronts just exhausts everyone and depletes precious resources much too rapidly. We will consider some prioritization on how we go forward with programming. Our top priority for our programming will be addressing Childhood Hunger. Our second level of priority will be Seniors and The Disabled. Our third level will be Adults between 18 and 60 with no kids at home. Our new relationships/collaborations will get us closer to the vision of seeing people free from hunger and self-sufficient. 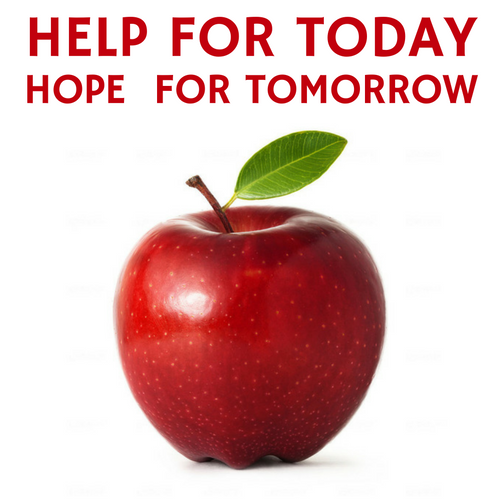 There are approximately 75,000 people in 8 counties that need help for today and hope for tomorrow. We are looking at 2016 with excitement. Join with us to make a difference in someone’s life. 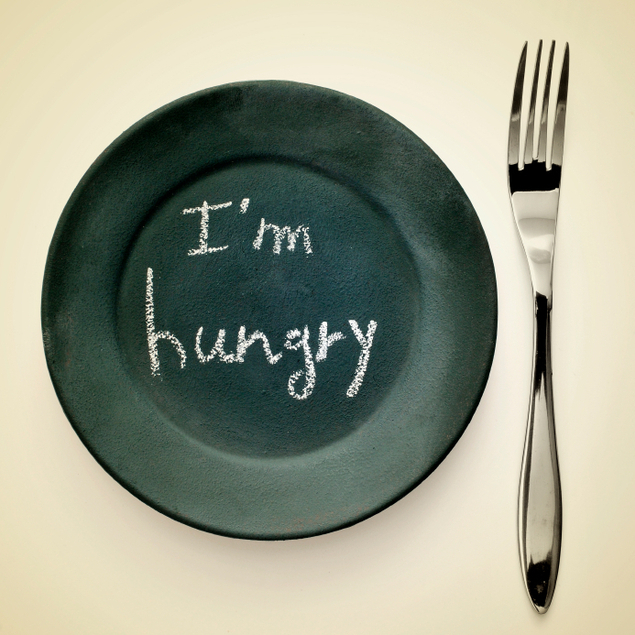 Child Hunger Programs will be ramped up for us starting in 2016. We received a two-year grant from C&S Warehouse, a national food distribution company that operates in Yorktown in what used to be a Marsh Perishable Food warehouse, that will provide funding for a position to research, develop community partnerships and implement programs focused on food insecure children. We have just hired the staff person who will be our Child Hunger Coordinator. Development will begin to take shape shortly after the New Year as she ramps up her knowledge of food bank operations and dives deep into all the resources offered to us by Feeding America, our national affiliate. We have some pretty alarming statistics in this country and in this region of the state that identify children who are missing at least some meals each week. Through the efforts of Map the Meal Gap, an annual study conducted through Feeding America by the Nielson Company and funded by Howard Buffet (a champion for hunger-related efforts and the son of billionaire, Warren Buffet), we are given details, by county, in every state in the union to help us understand the size of our target locally. For several years the national statistic has been that roughly 1 in every 4 of our children under age 18 are food insecure. That number is true here at the local level as well. Within our region of 8 counties in East Central Indiana, there are some local social service agencies who have data that suggest it is 1 in 3 children in their community. I value and acknowledge their findings as they may bring more attention to and spur greater effort toward addressing what will be done. So that is the question, what will we do, now that we know? We continue to see high percentages by school of children who qualify for free and reduced lunch programs and breakfast programs. In some individual schools, the number is above 90% of the students, and some school systems average over 70% in larger communities. The reality that is equally as staggering is the lack of access to meals when school is not in session. This includes summer break, fall break, holiday break, spring break and school closing due to weather. I probably have not listed all of them as some have other breaks on top of these. We have a few local partners in some communities that have taken on programs to provide a grade level or whole school with a grocery bag of food for the weekend once a month or sometimes more often, depending on the level of engagement by the donor. One of our strengths as a regional food bank is that a high percentage (28%) of all food we distribute is fresh produce. We are very accustomed to receiving and distributing produce on a very large scale. This should help us as we begin to forge new relationships in all the communities we serve to focus on the worst circumstance in our community: children that are hungry. A recent article in the Star Press talked about the “food desert” that exists on the Northeast side of Muncie. The compelling story described the circumstances of residents looking for food access and the distance they needed to travel to find it. This is a real circumstance for residents who live on the Northeast side, but also the Southeast side and the Southwest side of Muncie as well. 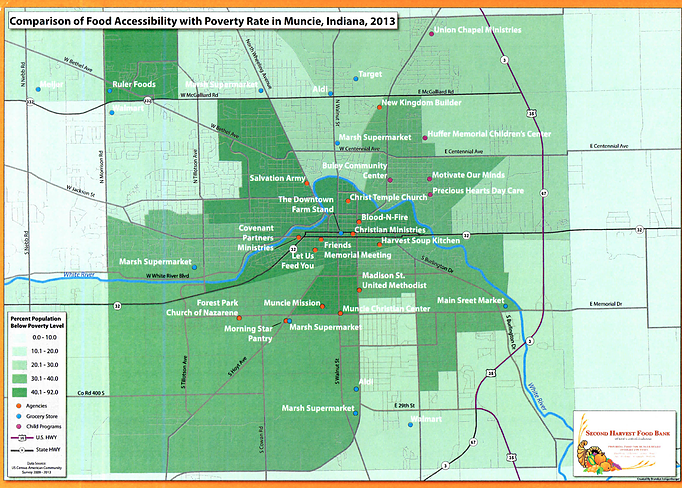 Through the efforts of Brandon Longenberger, a Ball State Summer Intern for Second Harvest and Samantha Martin, our Director of Programs, we now have mapping that identifies “food deserts” of Muncie, Delaware County and all other 7 counties that we serve using poverty census data and food access points of either grocery stores or current food pantries. We have been sharing this information for a few months with several community leaders and it has generated very fruitful conversations. Seeing the picture of food insecurity in these food deserts begs the question, what are we going to do about it? I say we, because it will require action from several interested individuals and organizations. One of the first steps is to see a group of churches who reside in the food desert area who will come together and form a leadership team, who are committed to opening a food pantry in the neighborhood. This idea relieves the burden of the entire operation being staffed, housed and financially supported by one church. As changes in leadership, interest and resources occur over time within a church, the mission of feeding hungry neighbors can begin to fade or even disappear, with new initiatives taking priority. The sustainability of multi-church operations can absorb adjustments and grow beyond providing temporary supplemental food. With a pool of talent and direction, the group can engage the neighborhood for input into what the neighborhood sees additional programming needs may be to enable people to begin to lift themselves out of the circumstances they are facing. Partner organizations can then be engaged to come along side and help address some of these needs without adding to the load that the leadership is carrying. 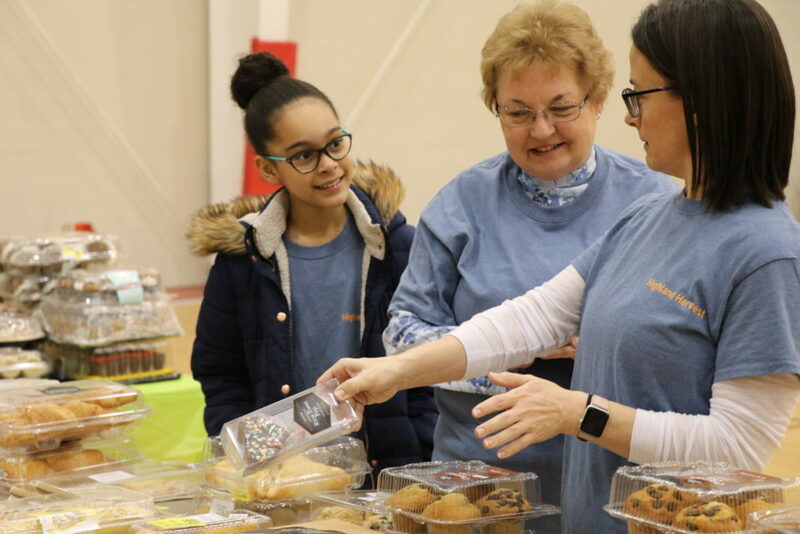 There are some great examples of groups of churches working together in other communities like Alexandria and Winchester that support 1 pantry and have done so successfully for years. We are working with a model that shows if 8 churches pooled $50 a week and distributed 40 pounds of food to 150 people a week, they would operate the largest food pantry in Delaware County. The location would be determined by the leadership team of churches. Here is where some community partnerships can come into play. Locating the pantry in an empty existing building somewhere close to the neighborhood would be the target. Hopefully, the building would have at least 25 parking spaces or enough parking for serving 100 people a day. It may take a building owner who would like a charitable donation deduction to make this work, but there are lots of locations that seem to be candidates out there at the moment. This concept has a multi-year phased-in approach with the development of what has been termed as a “Hunger Free Zone”. On the program side, there is the element of a community garden, training needs identified by the residents, potential for a micro-loan program, a periodic schedule for a food truck loaded with food people can buy just to name a few. As the operation continues to attract more support and with greater access to food, a “store front’ concept could be introduced offering a limited assortment of high demand items priced on par with the area market low cost providers. With this added dimension there is potential for some job creation in the operation. Food deserts only exist because we allow them by standing on the sidelines waiting for someone to do something. The map for 2016 can look different if we start now. I have always been a pretty independent person, even when I have a need. Trying a complete a project without the right kind of tools to use can add a lot of frustration, but may not prevent it from getting finished. I once dug 63 holes with a shovel in the middle of summer because I didn’t have the money to rent an auger. It was painful, but I got it done. I really don’t like to borrow tools from someone else either. I struggle asking for help. I will loan tools to people but I would rather help with the project. I think working with someone on their project can be rewarding and is more helpful to that person. We can usually learn together. A few years ago, I was trained as a Stephen Minister. As a Stephen Minister, I was meeting with someone weekly and discussing what is going on in that person’s life. The care receiver may be in the last stages of life, or they may be much younger and need a confidential relationship outside of their family. In the training, we were exposed to the idea of not taking on the person’s issues as an attempt to help them, but to be a good listener, giving them an outlet free from judgment. As I would walk alongside that person, they could hear themselves and sometimes might find answers they were looking for without intending to look for any. I suppose on some level the meeting might only be an hour, to say what you think or wish you could say to others too close for comfort. My viewpoint of people struggling with lots of interrelated issues mainly brought on by financial challenges continues to evolve over time. Food insecurity, lack of transportation, child care, educational limitations and poor personal choices along with a few others I didn’t mention kind of swirl around you, if you are unable to earn enough money to end the cycle of poverty. The answer isn’t always giving someone what they lack, but may be in walking with them to help them discover what they can do for themselves. You and I are both able to accomplish more than we think we can. Sometimes we just need to hear that enough times that we might begin to believe it. If I don’t like where I am or where I seem to be heading, I may need to change the road I’m on to get to a different place. It also helps to know someone who has a map or can even lend you their GPS while they walk with you. The reality is that Second Harvest Food Bank will not end food insecurity by reaching some number of pounds of distributed food. We perform a very valuable service in 8 counties that must be accompanied by sustainable personal change. For some, complete independence is not feasible, for others, being less dependent has to be a high priority. 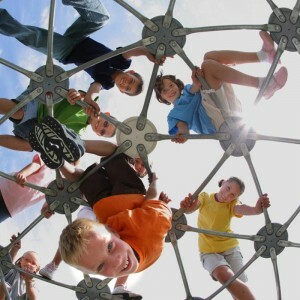 Child Nutrition Re-authorization will be voted on this fall by Congress. Among the list of programs this bill covers are the School Breakfast and School Lunch Programs, After-school Meal Program now offered in 14 states and Summer Food. It’s hard to argue that we will not be as successful if our children aren’t learning as they should because they are hungry, and cannot achieve because they aren’t healthy. The Child and Adult Care Food Program (CACFP) provides federal funds to after-school programs to serve meals to children age 18 and under during the school year. The meals can be served at any time during the after-school program, either at a traditional dinner time or immediately when the students arrive after school depending on the length of the after-school program. An after-school snack can also be served in addition to the meal. We have reached out to 6th District Congressman Luke Messer to stop by Second Harvest Food Bank while home this summer to tour, volunteer and discuss some of the priorities for struggling people from his district. He has agreed to come on August 4th after hosting a Job Fair at Ball State University the same day. The CNR legislation is one of the topics we will want to discuss. The opportunity to discuss any topic face to face with a federal legislator is a rare occurrence, but one that should always be pursued. Advocacy is one of the 3 areas of focus for our organization, along with Food Distribution and Education. I had an opportunity to meet face to face with 5th District Congresswoman Susan Brooks about a year ago in Anderson and Senator Joe Donnelly a year before that. Earlier this year, all of the Feeding America food banks in the state went to the Indiana Statehouse representing Feeding Indiana’s Hungry, our state food bank association to meet with as many legislators as we could corral to discuss funding from the state to buy food that would not make it to market at a reduced cost from Indiana farmers. We were asking for an increase in the state budget that would put us on par with the Kentucky state budget and food banks. The increase didn’t happen, but we aren’t done talking about it either. I can recall the faces of many hungry children, some were classmates, some were shopping with parents in the grocery store where I worked and some were in line at the food pantry where I volunteered. All had sad eyes, always sad eyes. I think over time a childhood of sad eyes can give way to frustrated, angry or desperate eyes of adulthood. When a child has a full belly there is a change in personality. A special needs teacher who was getting some snacks from us for her class described the change in behavior she saw in as little as 15 minutes. Someone who was disruptive or lethargic became someone who listened and learned. Anderson based, Carter Express held a bonus tailgate food distribution for Madison County residents on June 5, at the Nichol Avenue tailgate location in the old Kmart parking lot. In conjunction with Second Harvest, this extra tailgate was made possible by the money raised by Carter’s fund drive and covered the cost of sponsorship for the tailgate. 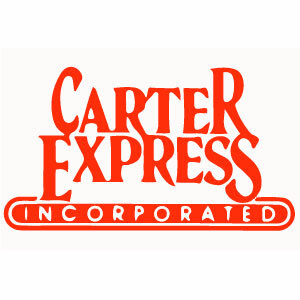 As a company we want to do as much as we can to serve our local community, said Jessica Paugh Warnke, Director of Marketing and Communications at Carter Express. Second Harvest is the largest provider of food pantries and meeting the needs of residents in Madison County so it was a perfect fit for us. At Carter Express, tailgate sponsorship such as this one come from the employee-ran Community Action Committee (CAC) who work with multiple nonprofits in Madison County. 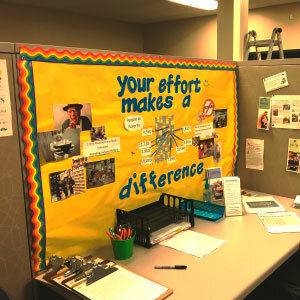 The CAC logs all of the volunteer hours, all of their other initiatives as well as the amount of grants given. The log is sent back to their parent company, Hitachi, Ltd. Hitachi does a national food drive every year and as one of the partnering companies, Carter has been involved for four years. Second Harvest is thrilled to have this community partnership with Carter Express. The total support for this food distribution was a great example of what is possible when people respond to the needs of the community. Thousands of struggling people benefited from the Carter Express team on June 5. 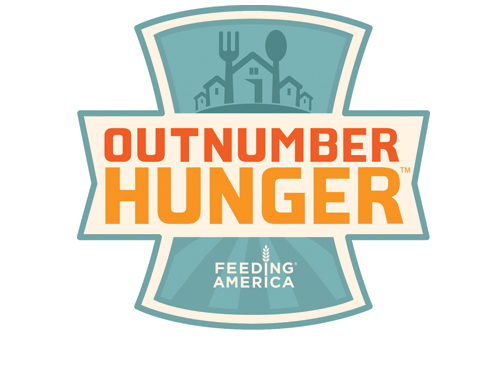 Contact me at tkean@curehunger.org or 765-287-8698 if your organization would like to partner with Second Harvest Food Bank as well. We are in the midst of our strategic plan refresh which will take us into 2018. This is a realistic look at today and a visionary look to our future. Local relationships are expanding. Purdue University School of Technology continues to engage more interest from local companies who see this as a direct way to engage the topic of food insecurity and what role they could play. Our relationship with Ball State University continues to expand the opportunities in immersive learning for students from several areas of study. Students are seeking us out for prime internship opportunities. Established professor networking continues to provide meaningful team projects for several classes with additional focus in Public Relations and Journalism. Anderson University will also provide some opportunities for student and faculty engagement as we move toward the reality of a Hunger Free Zone established in the community hopefully during 2015. This would involve several additional programming components in addition to food distribution, more to come later. Other areas getting attention are diverse. We are currently vetting the idea of establishing a Food Hub in Delaware County for East Central Indiana. This is a little different than a farmers market. The closest one currently in operation is in Greenfield. We have the facility footprint large enough to support one and it would be very much in line with what we do every day, to get perishable foods moved to consumption points. Testing is underway for a potential alternative program we currently operate that is directed to low-income seniors funded through the USDA. We believe we can provide more food to more low-income seniors with less government red-tape than the current program allows. We are excited to get some feedback from seniors, distribution site volunteers and potential funders from our test counties to help us reach a decision. We hope to have a decision by the end of this month. Composting has been on our radar for a few years now. We are working with Farmished, another not-for-profit who has been in conversation with us for almost a year. Michael Wolfe, Founder, President and Chairman of the Board of Farmished and his team are focused on establishing a sustainable food system in the local community. We can supply a lot of the material (food) that is past its prime to feed the compost pile and together we can produce a marketable product. The acreage that Farmished now owns is going to be a great site for several programming pieces we hope to develop together. We are waiting to hear results from a grant request for solar panels (educational programming and reduced energy footprint), also funding for some of the composting equipment. Community garden activity and food distribution are also part of the overall plan. We are also visioning some new community-based educational activities and revenue generating entertainment located on our complex of just over 36 acres, all aimed at providing us with an additional sustainable source of income. Looks like 2015 will be eventful.